MEGA Division 1-100 FREE makes developing strong math skills fun. Parents can easily check on their child’s progress through the game history menu. 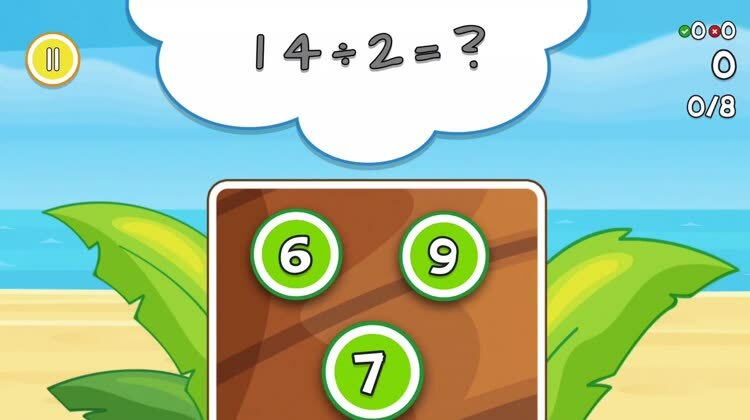 See how many questions your little one has gotten correct and how many wrong. The app will analyze the errors and wins and gradually increase the difficulty of the problems. This is the free version of MEGA Division 1-100. Some settings and prizes are locked. You can easily unlock all features via an in-app purchase.